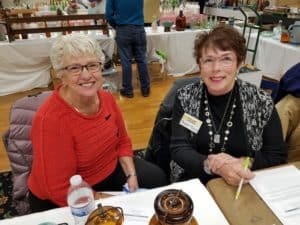 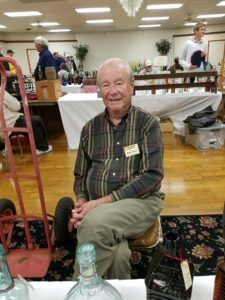 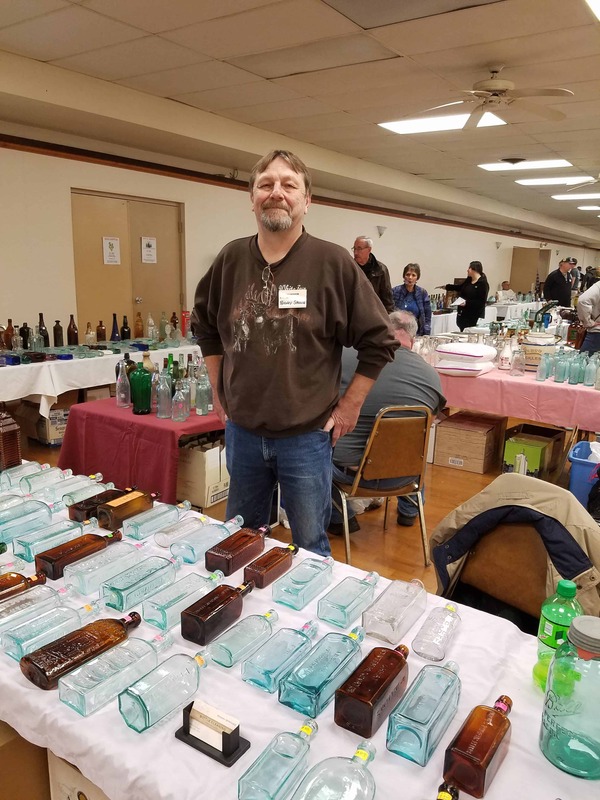 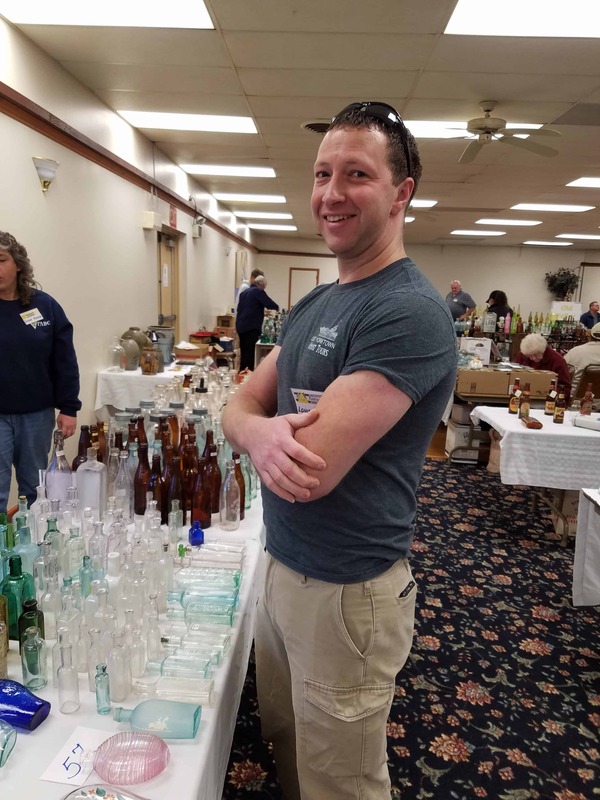 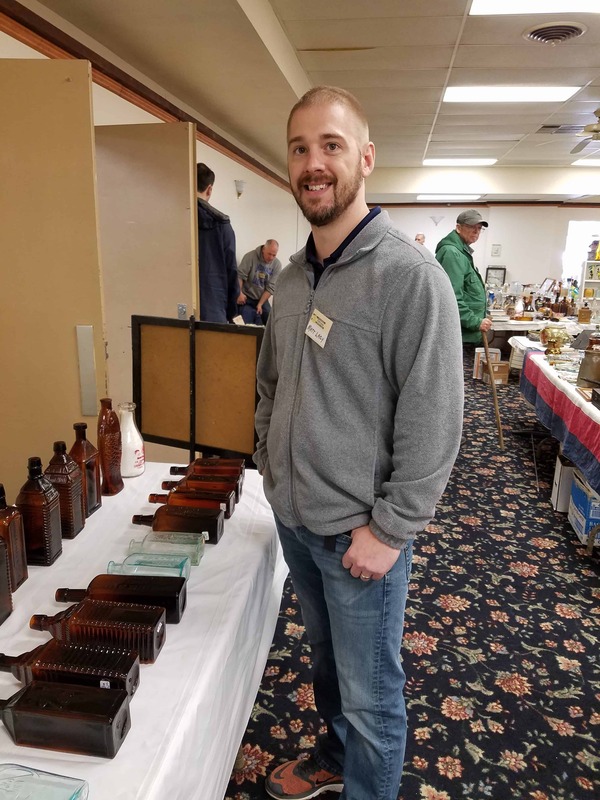 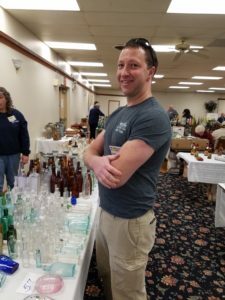 Members of the Ohio bottle Club attended a sold out Pittsburgh Bottle Show and Sale this last weekend. 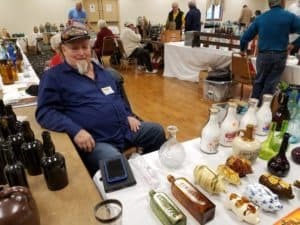 Saturday night, dealers could unload their bottles and enjoy a great hospitality. 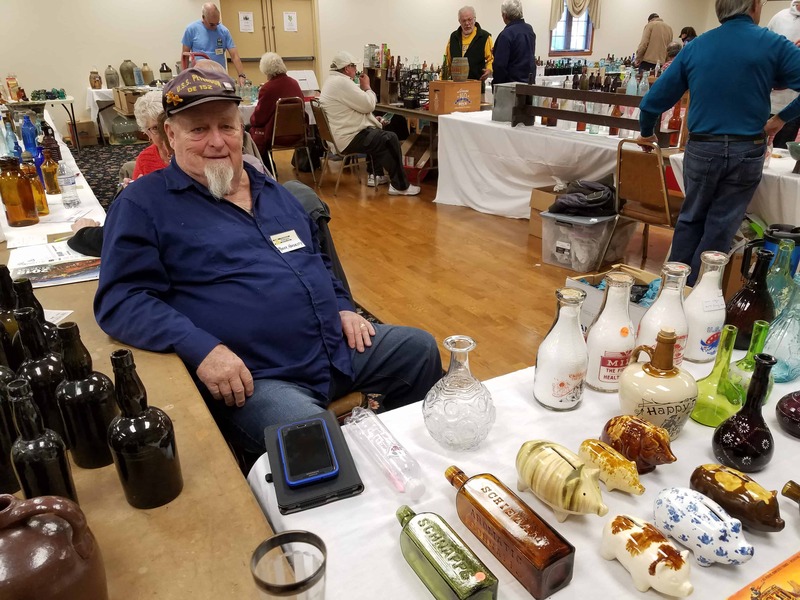 Fried chicken, sandwiches, peel & eat shrimp, goulash with a spicy sausage, and pies to die for greeted 60 dealers. Sunday was the show and a nice crowd attended. 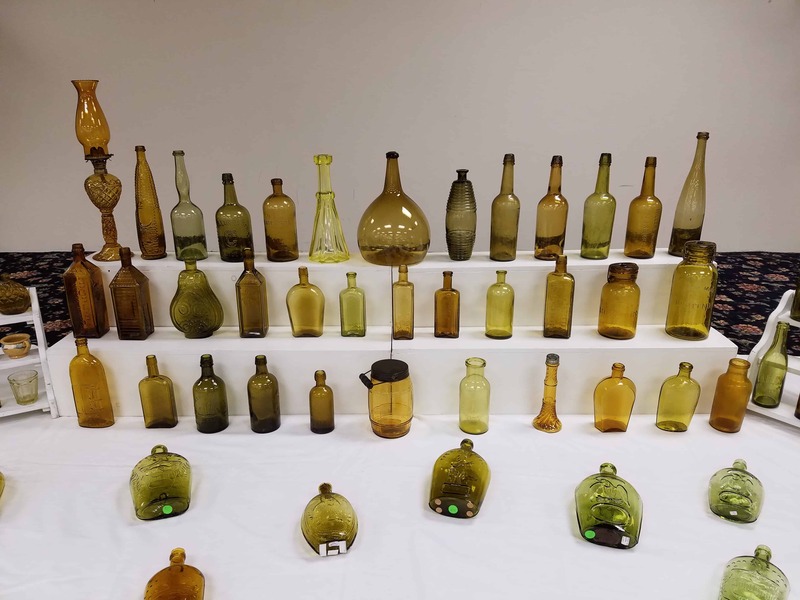 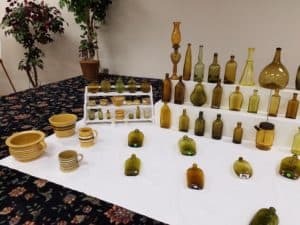 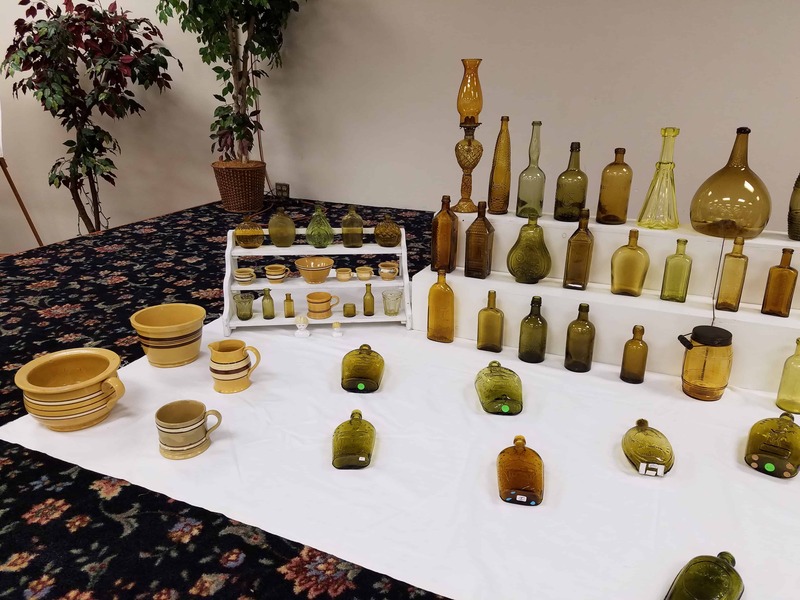 The Pittsburgh bottle club put together an impressive display of Pittsburgh bottles and stoneware in shades of yellow. 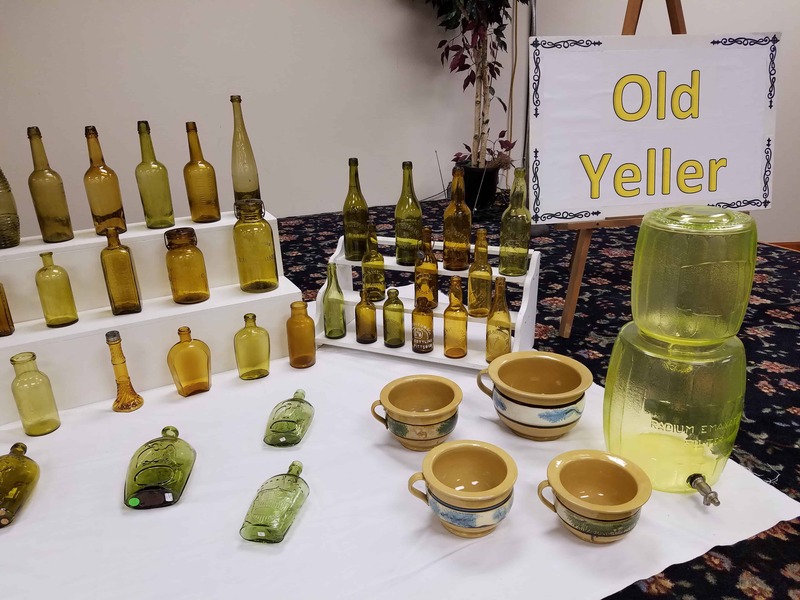 See “Read More” for pictures of OBC members and the display.